The Times of Israel reports: US Secretary of State Mike Pompeo said Thursday the Trump administration has helped facilitate cooperation between Israel and a number of Arab countries with which it has no diplomatic ties. In an interview with Fox News’ Sean Hannity, Pompeo was asked whether the unofficial anti-Iran alliance between the US, Israel, Saudi Arabia, the United Arab Emirates, Egypt and Jordan could lead to a major peace breakthrough. “Undoubtedly. 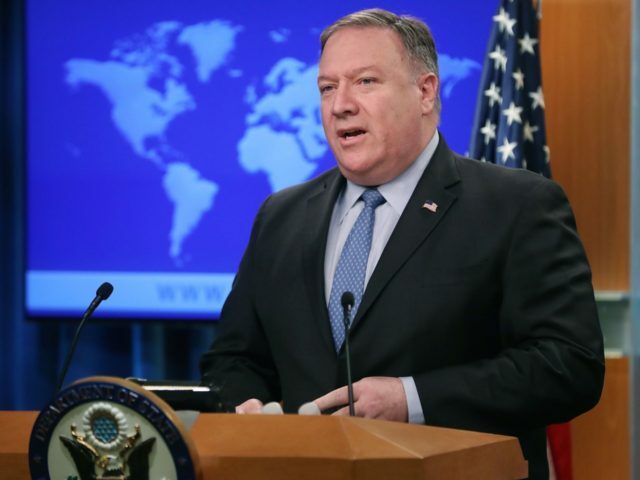 We have set the conditions in the Middle East where these countries are now working together across multiple fronts,” Pompeo said. Pompeo did not specify the nature of this cooperation, but Prime Minister Benjamin Netanyahu has hailed the development of clandestine ties with unnamed Arab states and noted their shared hostility to Iran.